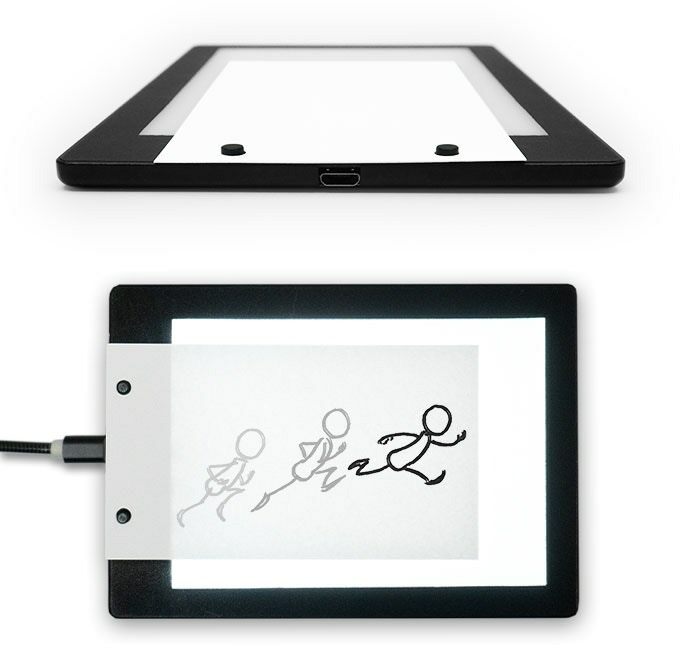 To make smooth drawn animation you need a light source, and that's where my LED Light Pad really shines! (See what I did there?) The two registration pegs make for easy tracing. It has two brightness levels, is lightweight and powered via USB cable. Each kit includes enough premium paper and binding screws to make 4 flipbooks or 2 XL size flipbooks. This premium paper is the perfect size and thickness for smooth flipping. It is also acid free which means it will not yellow with time. Bind your flipbook together with the included easy-to-use, reusable binding screws. Like the paper, each kit includes enough binding screws to make 4 flipbooks or 2 XL size flipbooks. You will love these things! 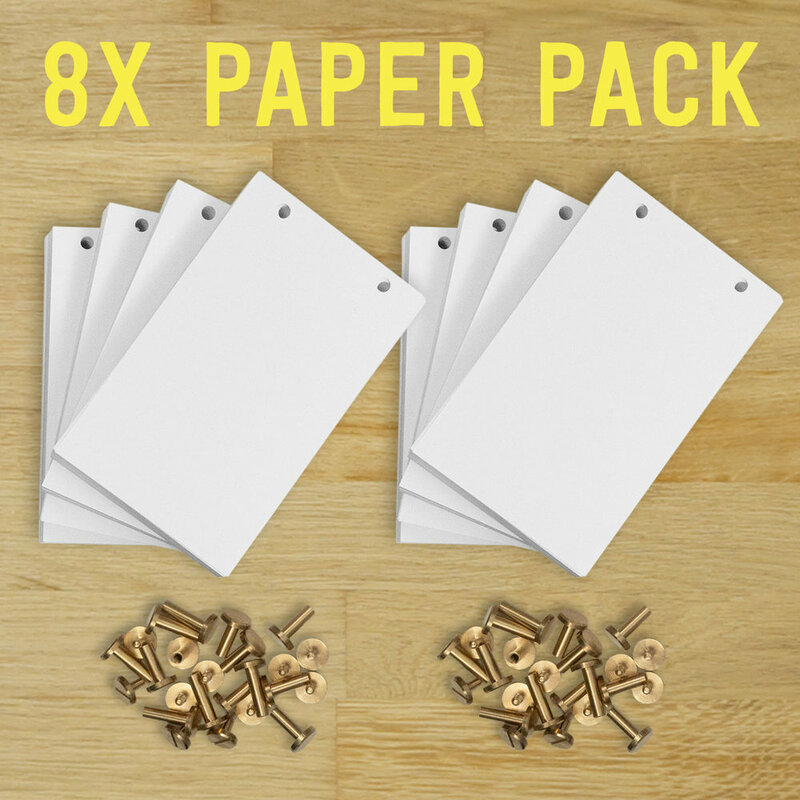 Triple your paper quantity by adding the 8X Paper Pack! If you're anything like me, you'll want to make LOTS of flipbooks. Make 8 additional flipbooks or 4 more XL flipbooks with the 8X Paper Pack. How Do You Make A Flipbook? Easy! Follow my YouTube tutorials to learn at any skill level. I share flipbook videos and have many more tutorials on the way. Our shipping is EU, AU, CA and US friendly, which means that VAT and GST fees are prepaid for all backers in each of those regions! You will pay no extra customs fees or duties at the time of delivery. We have selected reputable logistics partners around the world to ensure reliable reward delivery. Because the shipping weight of each Flipbook Kit & 8X Paper Pack is quite heavy, we have taken great care to calculate accurate shipping fees specific to each country. We make no profit on any of these shipping costs. Sign up for my latest updates, videos, giveaways and more!